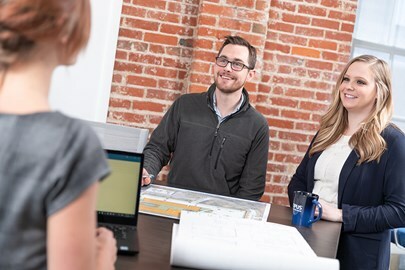 We understand that you expect a construction partner you can trust—one that consistently delivers value through high-quality, cost-effective building solutions and efficient environments that help fuel your success. We have a proven record of doing exactly that—in fact, over 75% of our construction clients are repeat clients or direct referrals. It's been said that trust is earned, not given. At Opus, we work hard to earn the trust of our clients by delivering meaningful value, one project at a time. We leverage our unique project delivery method to deliver innovative and efficient buildings on time and on budget, regardless of size or scope. How, you ask? Our design-build model brings all key roles—design, architecture and construction—together to work with you. One integrated team, under one roof with one common goal—your needs. This approach delivers you the best overall value through reduced risk of late delivery, guaranteed maximum price established earlier, reduced administrative burden, certainty of outcome and an overall high-quality building that delivers on your project goals. Through innovation and continuous improvement, we've honed our design-build capabilities to deliver nearly 50 million square feet for hundreds of satisfied clients since 2010.